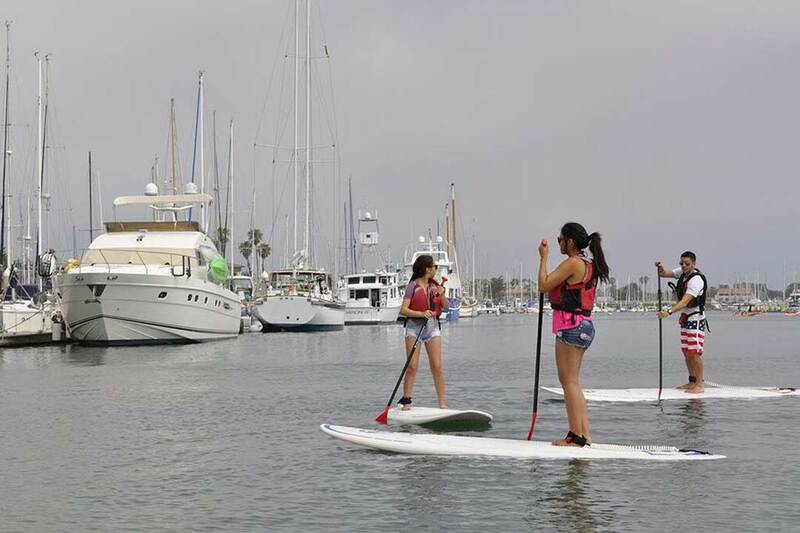 This class will teach the basics to safely paddle throughout the harbor. Through a balanced educational approach of land demonstrations and on-the-water drills, participants will learn how to properly get on and off the board, proper stance, improve paddling technique, capsize recovery and how to navigate safely through harbor traffic. Cost: $30 for community members. 1 Friday 2/8/19 1:00 p.m.-3:00 p.m.
2 Wednesday 3/6/19 1:00 p.m.-3:00 p.m.
3 Saturday 3/9/19 1:00 p.m.-3:00 p.m.
4 Saturday 4/27/19 1:00 p.m.-3:00 p.m.
*Payment for activities can be made onsite at the CIBC with credit card or personal check at the time of your activity. This class focuses on improving the health of our local waterways. We will split up into small groups on standup paddle boards with all materials necessary to aid our cleanup. From there we will take various routes throughout the harbor collecting trash and looking out for sea life along the way like sea lions, crabs, and starfish. After we get back to the dock, we will sort and total all of our findings. This is a great opportunity for students involved in classes or clubs that require volunteer hours and have some fun while doing it! It is required that you take our Introduction to Standup Paddle Boards class prior to attending one of our cleanups. Cost: $30 for community members. 1 Saturday 2/16/19 10:00 a.m.-1:00 p.m.
2 Friday 4/5/19 10:00 a.m.-1:00 p.m.